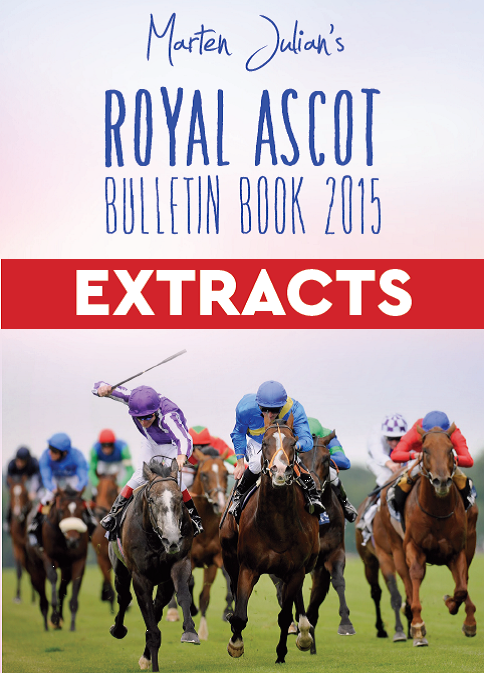 Royal Ascot continues to grow in popularity for various reasons. Although not the most popular meeting for our clients (Cheltenham is) we have enough interest from clients to cover this meeting. Royal Ascot reported that meeting’s ticket income was up 10% and with our website undergoing the final stage of redevelopment we are looking to increase our client base it’s in our interest to cover all major meetings. In June 2017, Royal Ascot announced that despite an increase of prize money by £1.2 million (to £12.4m) they still have increased their pre-tax profits to £5.1m which shows they are running the racecourse successfully. They are working hard to improve the customer experience by adding new facilities and are broadening appeal by broadcasting this year’s Festival on NBC for five hours a day in America. The new Village Enclosure which opens this year is the first new enclosure to be added for over 100 years. 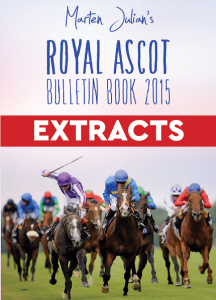 For Royal Ascot we produce Online Previews which are in a PDF format and can be opened on a computer, iPad, iPhone, tablet or smartphone. You can see a past edition here or by visiting our Download page. New clients often ask how many pages of information are included in our Online Previews. This will vary on the day’s racing and the information we have. Marten doesn’t write for the sake of writing and will state if he thinks it is a race best watched. Each Online Preview has a front cover so you can print it off and staple it. The cover also makes it look nice when you are reading it on a tablet or smartphone. If you know someone who would like our information but doesn’t have internet access we can email the Online Preview to them. This sounds an odd statement but there are people out there who have emails thanks to their smartphones/iPhones but still don’t use the internet or want to create website accounts for downloading. We can also fax the information if required. A profitable meeting for us over the years, with 2016’s highlights the 10/1 victory of Dartmouth. Other winners were Prince Of Lir 8/1, Jennie’s Jewel 6/1, Even Song 15/8, Quiet Reflection 7/4, Churchill 8/11 and a clear pointer to 16’1 winner My Dream Boat. Subscribers to the five Online Previews for Royal Ascot 2017 enjoyed a successful meeting, with some notable near misses advised each-way. They included Headway 2nd 33/1 (beaten a head), Lancaster Bomber 2nd 12/1, Decorated Knight 2nd 10/1, Nyaleti 2nd 10/1, Santry 2nd 13/2 etc and a handful of thirds including Mirage Dancer 3rd 7/1 etc. 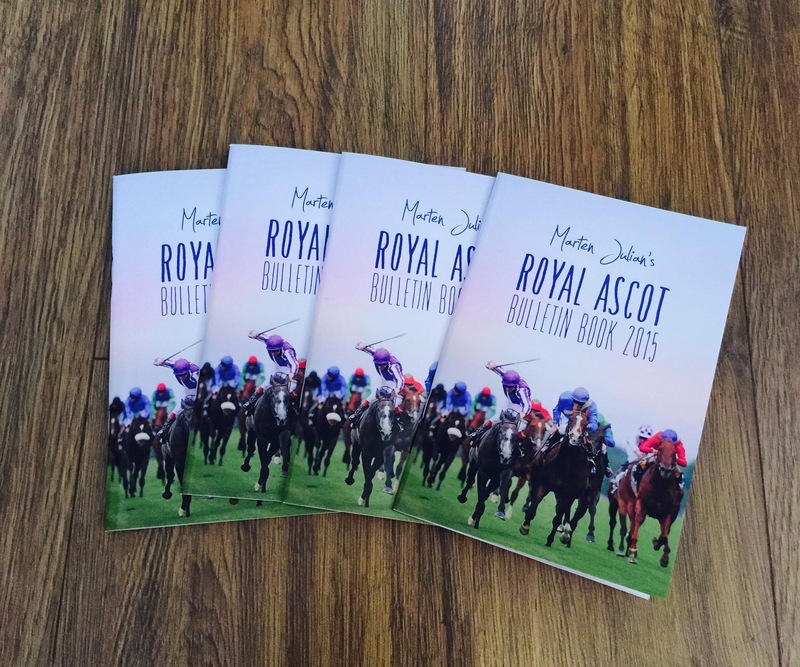 In 2016 due to the entries system we decided to produce two Ascot Books. The issue with us doing this is that it shortens our writing and research time as we have to allow a two day turnaround for printing. This means that we have had to make the difficult decision to only produce an online service. We dislike doing this as we have many clients who still prefer hard copies of our services.